Technical analysis is the study of price movements, share volume, and price relationships. As stock prices change, they develop a pattern of behavior at certain levels that tend to repeat and are, therefore, recognizable. Price fluctuations over a period of time are compiled to form a chart that will visually represent the formation of patterns. At its simplest form, the most basic tool of a technical analyst is a chart. Because a chart allows a stock trader to observe the formation of a recognizable pattern, it is possible, to varying degrees, to anticipate future price behavior. With careful analysis, planning, proper order execution and risk management, it is also possible to benefit from properly interpreting chart patterns. The beginnings of modern-day technical analysis were developed by Charles Dow who created the Dow Theory around 1900. Dow wanted a method to see, either directly or indirectly from the Dow Theory, the trending nature of prices, prices discounting all known information, confirmation and divergence, volume driving changes in price, and support/resistance lines. Today, the public watches the Dow Jones Industrial Average (DJIA) as an indicator of the sentiment in the market. DJIA is a direct branch of the Dow Theory. Interestingly, Technical Analysis lay basically dormant until the 1960’s. Between Dow and the 60’s, professional traders like Jesse Livermore, Ralph Nelson Elliott, and a few others created a variety of theories and the tools to prove them out. We will look at some of these tools and try to help you understand the rationale and usage of them in trading. The price of a stock is set by the willingness of people to buy it and sell it at any given price level. The price at which a trader is willing to buy or sell depends solely on his expectations. If he anticipates the security's price to rise, he will buy it; if the price is expected to fall, he will sell it. While this seems obvious, we are truly seeing human psyches at work. The problem is, of course, that human beings are quite diverse and extremely difficult to understand. Ask Sigmund Freud and a host of other psychiatrists and psychologists for their opinions on the Human Condition! Thus, we find that mechanical trading systems are often inaccurate relative to the existing condition of the market. The market is a reflection of the overall sentiment of the population, and that population is incredibly diverse. Each stock attracts a variety of players that influence its price. You have a melting pot of expectations and needs, all driven by human frailty. From Market Makers, fund managers, hedgers to professional people who dabble in the markets and, of course, those who put money into the market and have no clue on how it works to begin with – these all influence the price everyday. This stew of human emotions causes great consternation when considering the future direction of a security’s rise or fall. However, Technical Analysis, when properly understood and used wisely, will help any trader or investor to sort through noise and identify significant elements that can support a rational choice to buy or sell. If for no other reason, Technical Analysis will lend a systematic approach to the market. The theory is, therefore, all that is known or is knowable about a specific security should be displayed in its historical price and volume action. It is our job to identify the probable outcomes in the future based on this data and pattern repetition. Prices of securities also have a tendency to correlate with prices of other financial instruments or other stocks. For example, a large downside move in prices of the S&P 500 Futures index has a tendency to affect prices of certain securities that are sensitive to fluctuations in that index. A large price move in an industry leader, such as Microsoft (MSFT on the NASDAQ), has a strong tendency to affect price action in Intel (INTC on the NASDAQ), another industry leader. When trading a stock, it is of significant advantage to the Direct Access Trader to know, and properly interpret, what affects the price of the stock on a technical basis. This is especially true, in a frequently traded stock, in order to have an advantage over others trading (or investing) in that stock. 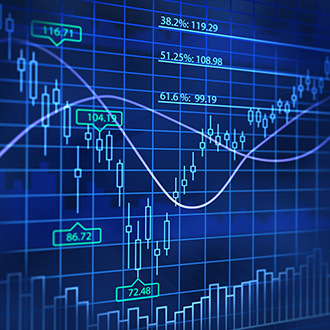 While technical analysis does not have to be complex, traders primarily relying on technical analysis for trading guidelines tend to move deeper and deeper into the mathematics of price action. However, most successful traders develop remarkably simple methods. Keep your trading simple and stay close to the old rules. It generally pays off in the long run. Fundamental analysis is the study of the company information that begins with market type and extends into studying information critical to its effects on the company’s ability to earn money over a period of time for its investors. Such matters include assets, sales, products, management and other factors that affect price over a long period. Although knowledge of a company’s fundamental aspects offers a degree of validity for the Direct Access Trader, too much focus on fundamentals may affect the trader's ability to technically analyze price fluctuations. The Direct Access Trader is more concerned with short and very short-term price swings. Since a company’s fundamental situation is generally used to determine long-term price direction, there is not much need for detailed fundamental study on a stock in order to successfully trade it on an intraday basis. A Direct Access Trader is more concerned with technical price moves, intraday momentum, and order imbalance.